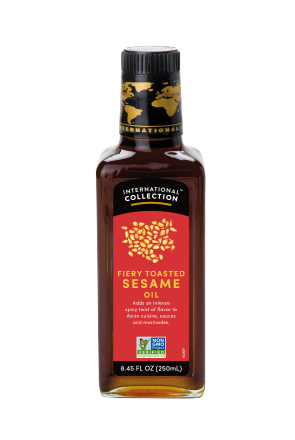 Add an instant dash of signature flavor to Asian-style cuisine with the ever-popular Toasted Sesame Oil. 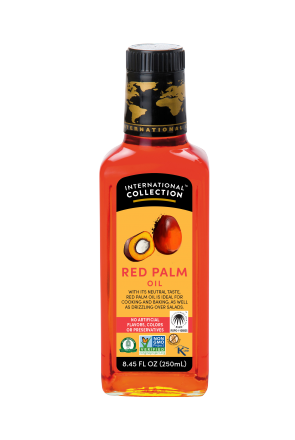 Just a few drops of this distinctive, rich, dark oil are all it takes to bring a bold, nutty taste to dishes, from stir-fries and grills to pilafs and roasts. Drizzle over steamed rice or vegetables or sprinkle sparingly over salads and meats. 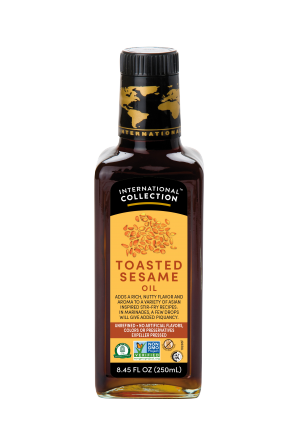 Our Toasted Sesame Oil is expeller pressed and 100% natural to bring you pure flavor. The leading specialty oil, it is used extensively in dressings, dips and drizzles.